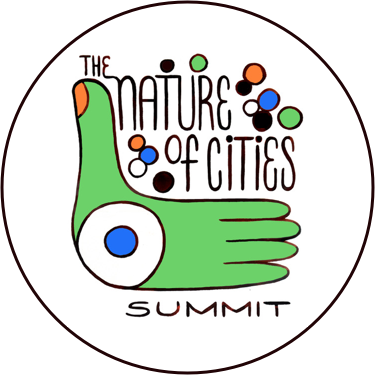 The Nature of Cities is an international platform for transdisciplinary dialogue and urban solutions. We facilitate the sharing of diverse, transformative ideas about cities as ecosystems of people, nature, and infrastructure. We are committed to the design and creation of better cities for all: cities that are resilient, sustainable, livable, and just. Cities are ecosystems of human habitat. A growing movement in urban social-ecology holds that city building requires a green lens—that urban design with, and not against, nature improves both the global environment and the lives of people. TNOC aims to support and propel this movement by curating a network of thought leaders and publishing their ideas. We now comprise almost 650 contributors from around the world: practitioners, scientists, artists, engineers, ecologists, social scientists, architects, designers, landscape architects, planners, activists, urbanists, entrepeneurs, government officials—all working to propel a transdisciplinary, participatory, and transformative movement for cities. TNOC is a “boundary organization” interested in ideas at the frontiers of science, design, policy, and the arts—an idea hive that puts different approaches and points of view together, to discover what novel perspectives might emerge. We work in two principal ways. First, we publish a virtual magazine and discussion site featuring, in multiple formats, the diverse work and ideas of our contributors around the world. Second, we pursue partnerships and special projects in specific areas related to our published ideas and mission. TNOC was founded and is curated by Dr. David Maddox (New York City). (With thanks to and inspiration from Mike Houck of Portland, USA.) Write to us at [email protected]. Why do we publish in English? One of the core purposes of TNOC is to share city-building ideas across disciplinary boundaries and geographic frontiers. For better or worse, English is the language that is more likely to be shared among city-builders around the world. Further, we have not wanted to narrow the reach of our essays by publishing regional versions only in that region’s language. The ideas need to be shared more broadly. We simply don’t have the money to translate all of our essays—and anyway, which language(s) would we choose? We have responded with two imperfect solutions. First, Google Translate is embedded within the site, so readers can choose from their broad list of languages. This tool is improving, and it is certainly better than nothing. Second, we offer to all of our authors that they can provide a second version of their essays in a second language (of their own translation). Cities are fundamentally ecological spaces. They are ecosystems packed with trees and vegetation that comprise an urban forest. They house birds, insects, small mammals, diverse ecological habitats, and more. They are connected to suburban and rural areas along ecological gradients. Human well being, social justice and effective urban design is intimately connected to the health of urban ecosystems. Cities are habitat for people, and urban design with nature at the center is essential to resilience, sustainability, livability, and justice. We believe that the nature of cities—by which we mean cities as ecosystems of people, green and blue nature, biodiversity, and built infrastructure…habitat for people—needs more voices, more perspectives and expanded conversation about its critical importance for people and how it can be promoted, conserved, managed, and in some cases designed for the good of all. The Nature of Cities is a platform—a virtual magazine and media site—for diverse content and conversations on these themes, including essays and virtual roundtables. In the near future we will introduce other styles of conversation. 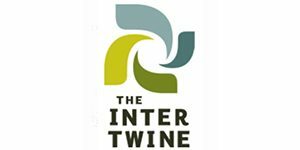 We are a collaborative of 600+ writers from many disciplines and from many places around the world. New columns are published thrice weekly and rotate among our roster. Virtual Roundtables, in which a dozen or so writers respond to and discuss a specific question, appear every month. Podcasts and book/event reviews appear more or less monthly. We are, by design, a diverse group, and our ideas about the nature of cities emerge from wide-ranging perspectives. Our contributors include activists, designers, practitioners, biologists, ecologists, sociologists, economists, architects, artists, landscape architects, nature writers, leaders of community organizations, public space managers, lawyers, and leaders in international organizations. We live and work in 27 countries and six continents, from the Global North and South. We are men and women. The study, understanding, and management of urban nature is fundamentally multidisciplinary and many-voiced (or should be), and the diversity in our collective honors this fact. 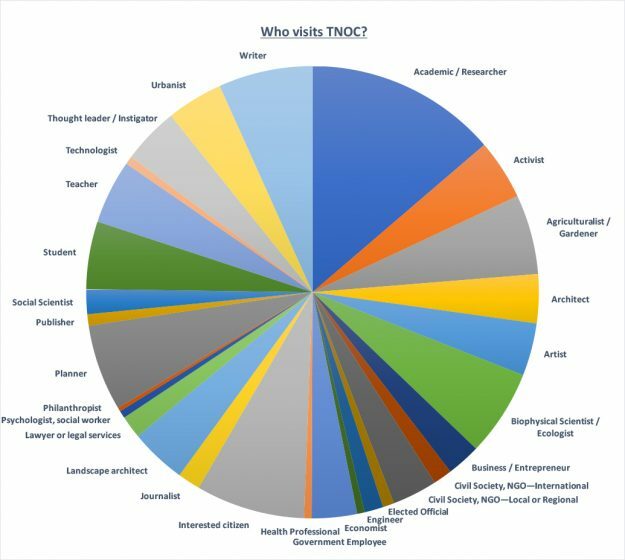 From which disciplines and occupations are TNOC writers? Note that many of these people wear several hats—this chart is the first thing they call themselves, but not the only thing. For example, many people across categories consider themselves activists. Many people across categories run their own business as part of their discipline; the small number labeled “Business” are simply those that don’t fall in any other category. About 35% of these people are academics, scattered across multiple categories. Yet we remain a work in progress, always striving to make sure we write from many perspectives. Our intended audience is everyone interested in creating better cities that are resilient, sustainable, livable, and just—cities that effectively function as ecosystems and are better habitat for people. Our readers have visited almost a million times, from over 3,700 cities and 150 countries, and are as diverse as our writers. Who visits TNOC? 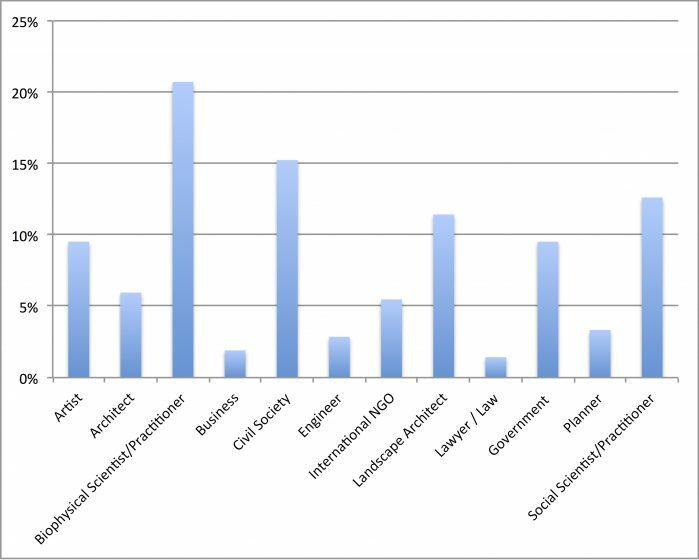 Results of our survey of readers suggest they come from all disciplines of urbanism. These are self-descriptions from survey respondents, and people may wear multiple hats. 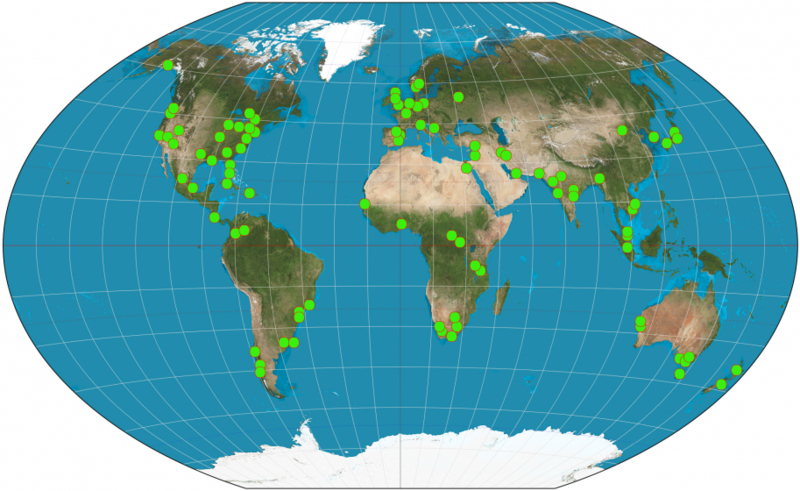 The 100 world cities from which TNOC visits have most often come. We crave dialogue and comments from our community of readers. So please keep in touch. Each of the opinions expressed in publications on our site are the author’s own and emerge from the vantage point of his or her discipline, but the core themes of our writing are human habitat, nature, ecosystems and biodiversity in urban settings, especially as they relate to sustainability, resilience, livability, and human well-being. Rights to each essay and its images are held jointly by the authors and designers / photographers of the particular piece and The Nature of Cities. Rights to the site as a whole are held by The Nature of Cities®. Legal status: The Nature of Cities® is a 501(c)3 Public Charity (as recognized by the U.S. Department of the Treasury), a nonprofit corporation registered in the State of New York. The Nature of Cities® is a registered trademark. If you find value in what TNOC does, please consider supporting us with a one-time or recurring gift. Author last name, first name. Year. Title of article. The Nature of Cities. Publish date. Web: URL of content. Interested in contributing to TNOC? Write us and tell us a little about yourself and the kinds of things you want to write about. ©2012-2018 The Nature of Cities®. The Nature of Cities is a registered trademark. All rights reserved.